After giving birth to my daughter, someone made these cookies for me. I laughed at the thought of them actually helping my milk supply, but they really did…and I had absolutely NO problem eating at least 4 of them a day. I was pretty disappointed when I ran out, and fussed at my husband if I caught him eating one. I made a batch for my best friend after she had her baby. 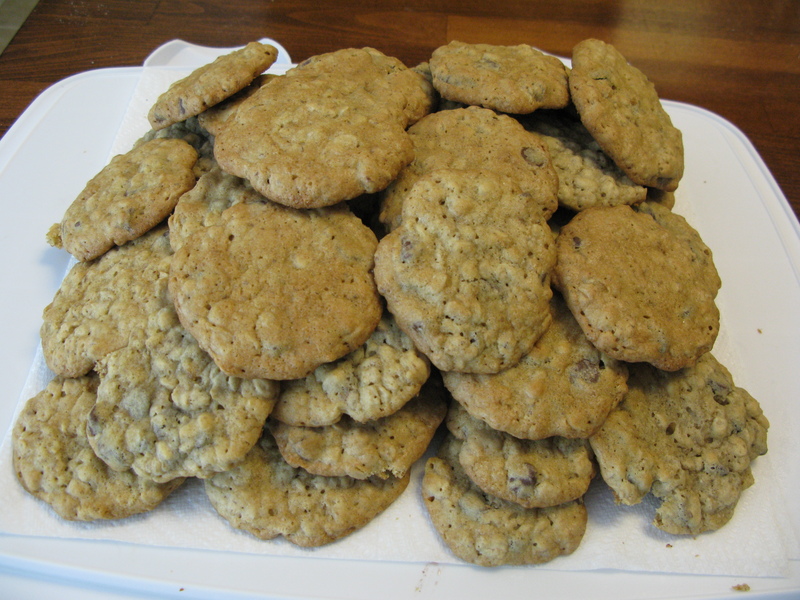 I spooned about a tablespoon full of batter, and this made a little over 5 dozen cookies. Personally, I did have some issues with getting my daughter to latch on for feeding…and after 3 days of her barely getting anything and her weight dropping, I gave in and bought a breast pump. Best money we spent. These cookies truly helped me turn into a milk maid, and the breastpump bra made pumping even easier. I couldn’t have made it nearly as long as I did without that bra, because having to hold those suckers on yourself while pumping was a bit of a pain in the rump. If I can make a recommendation to a mom who’s pumping it would be this: Pump as much as you can, because you never know if/when you’ll have to stop! I had some medical issues that forced me to stop sooner than I wanted, but I was able to store some of the milk in a deep freezer in storage bags. *Thick cut oats, flaxseed meal and Brewer’s yeast are available at health food stores. Preheat oven to 350.Mix flaxseed meal and water, set aside 3-5 minutes. Cream butter and sugar with electric mixer. Add butter mix to dry ingredients, beat well. Using cookie scoop, drop on baking stone. Next time I have a little one I’ll take a dozen, or more! Can these be made and than frozen?? Im due in july but would like them pre made if possible! I wonder, could I add a little more brewers yeast and also some blackstrap molasses?